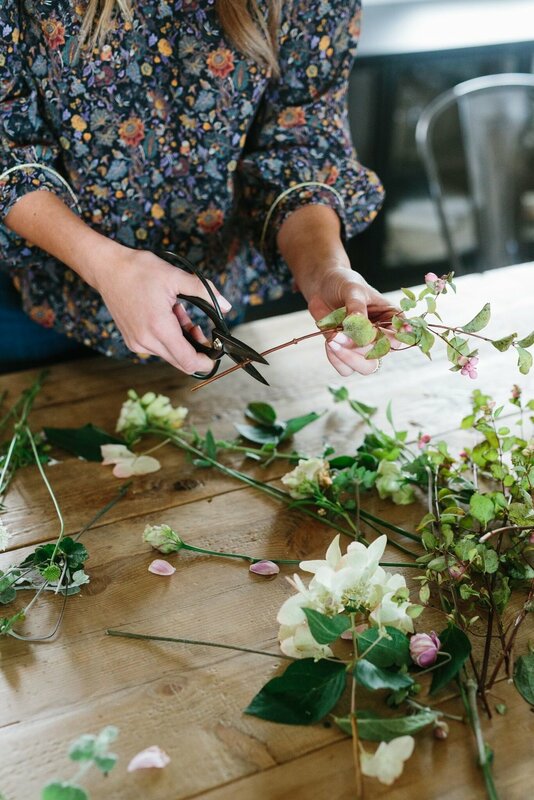 We love to fill the home with florals, especially during the holidays. We love the breath of life and visual dimension that they create. 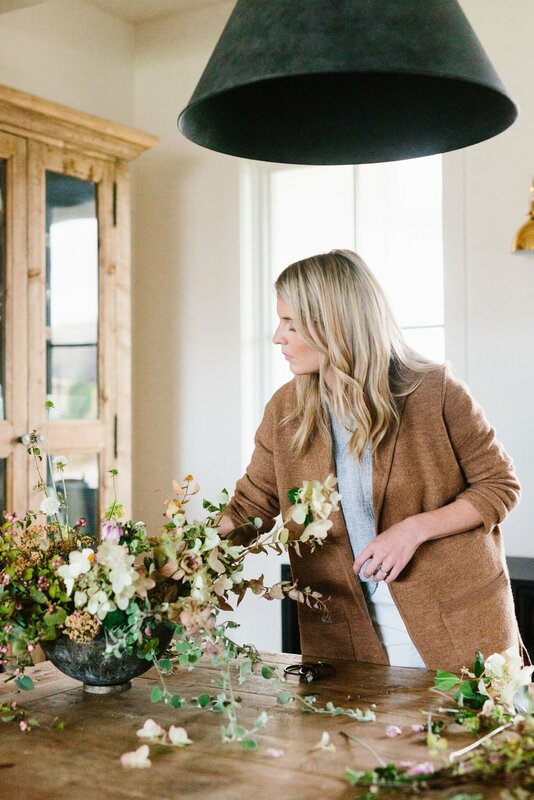 We invited Ashley from Tinge Floral to come show us some tips and tricks for creating a beautiful winter arrangement. For more inspiration, check out the post we did with her last year! are transporting your flowers and you don't want them to move, or if you have a very shallow vase. If it's too shallow, it will be difficult to keep enough water in the vase to keep your flowers hydrated. Begin from the outside and work inward. Start with one ingredient at a time and remember to mimic nature by having your stems at different levels in the arrangement. If they stick straight up, with all stems at the same height it will look unnatural, stale, and boring. 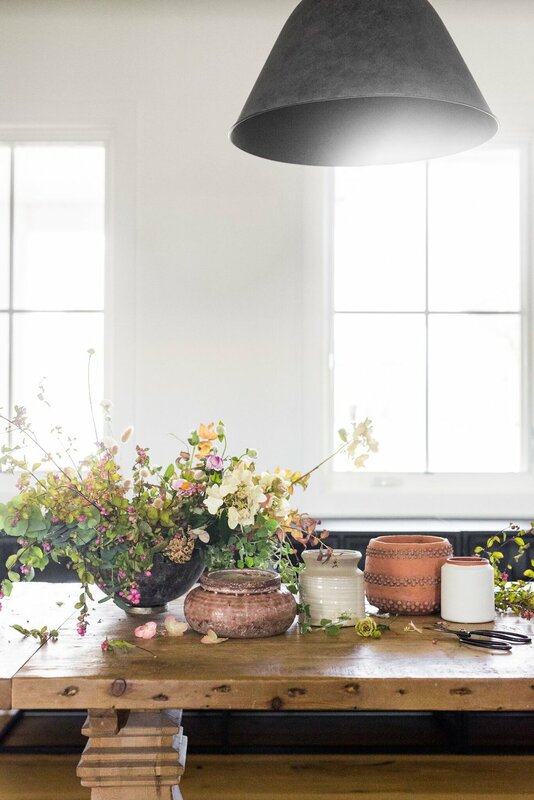 Cluster the same blooms together to give more visual impact, especially when working with textural elements. 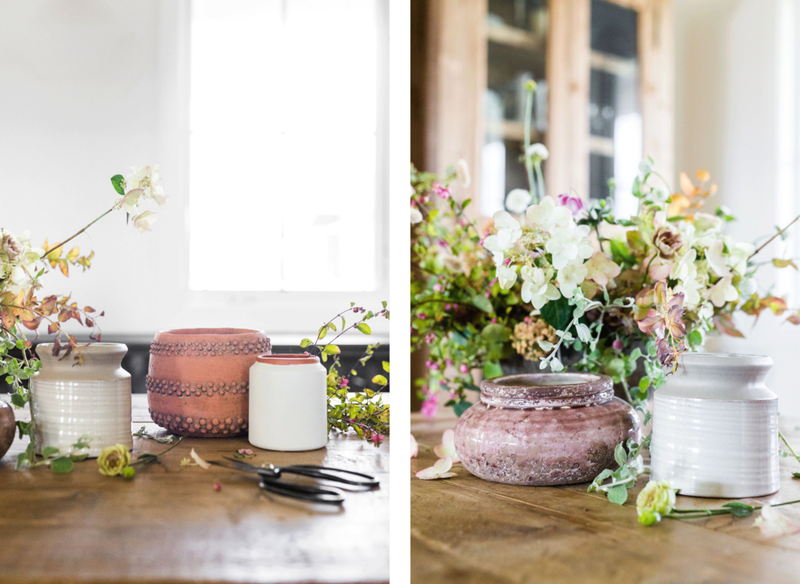 You can turn almost any vessel into a vase for flowers! 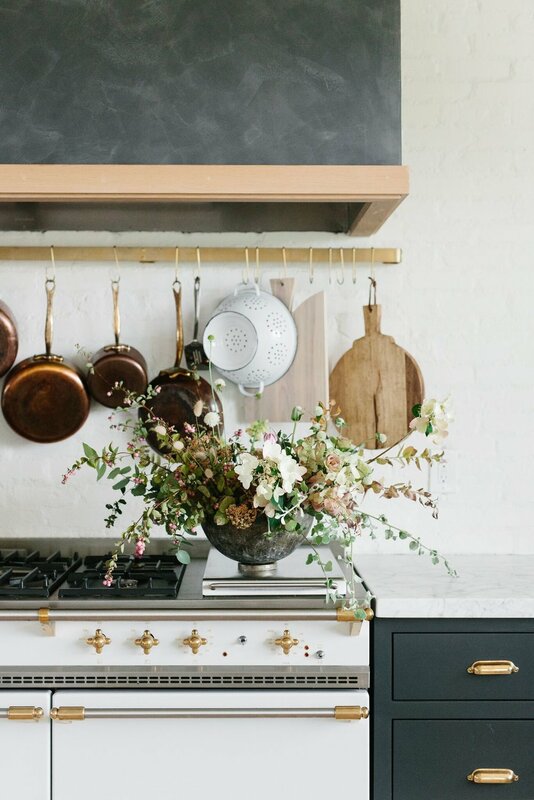 When picking out a vase or planter, make sure it's appropriate for where it's going. If it's disproportionate it might overwhelm or underwhelm the spot it's being placed.